MAJOR PRICE IMPROVEMENT!!! 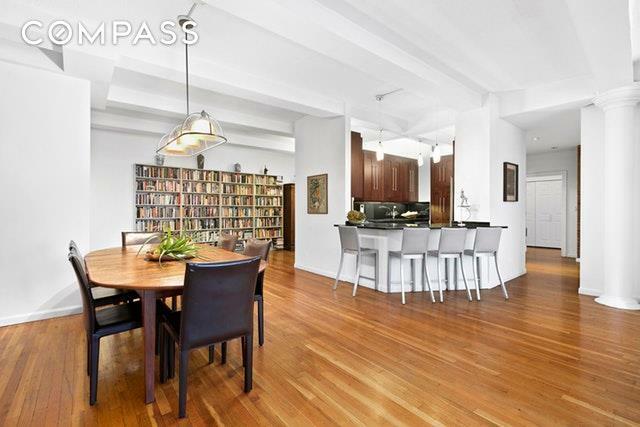 This very special West Village LOFT presents a value in a neighborhood that continues to be among the City's most sought after. 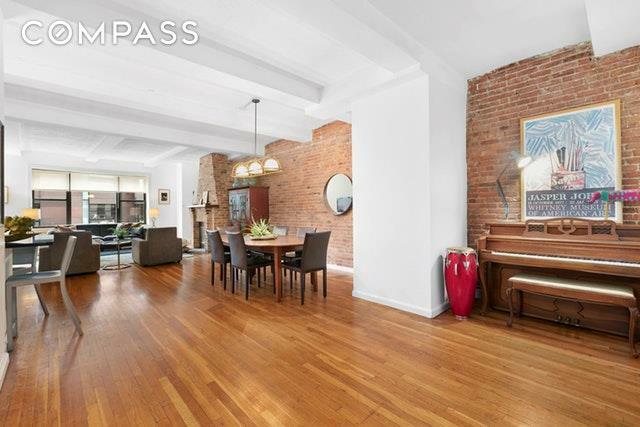 Located on a prime tree-lined cobblestone block, this highly desirable and well-priced, two-bedroom + den/home office residence boasts 10 ft beamed ceilings, oversized windows, and beautiful light from Northern exposures. Exposed brick walls warm the open living/dining/great room which has a dramatic Hearth/ Wood burning fireplace. The expansive Great room and proportions of the loft make it ideal for displaying art. 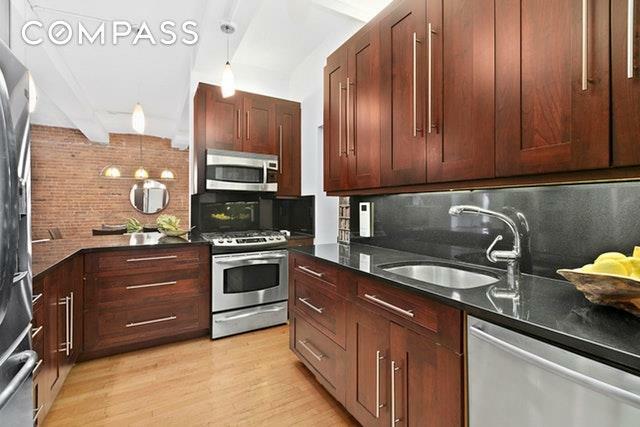 Easy access to an open custom Kitchen with a breakfast bar, makes this loft a delight to entertain in. The Master Bedroom is roomy and features an en suite bath and great closets. The windowed second bedroom also has good light and storage. Other loft features include a den/home office which could also serve as a third bedroom and a laundry room equipped with washer/dryer. 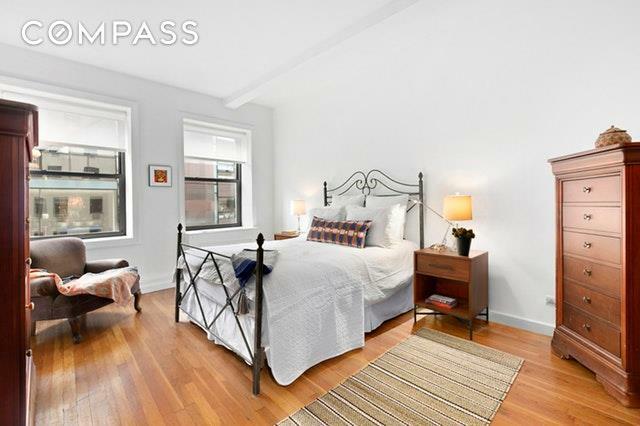 There is ample storage throughout the apartment as well as deeded storage unit included with this apartment. The building features a new beautiful landscaped common roof deck, basic cable included in the maintenance and a 16 Hour Doorman. The Waywest Coop (built in 1898 as a cold storage warehouse) has been a mainstay of the West Village long before the transformation of the neighborhood but is now more in demand than ever. There is a beautifully landscaped roof deck with sweeping views from the Hudson river up to the Empire State Building. Surrounded by many new luxe condos, just steps from the Hudson River Park, The High Line Park and all of the best restaurants and shopping the West Village and Meat Packing District has to offer. Listing courtesy of Vicki Musso of Compass.